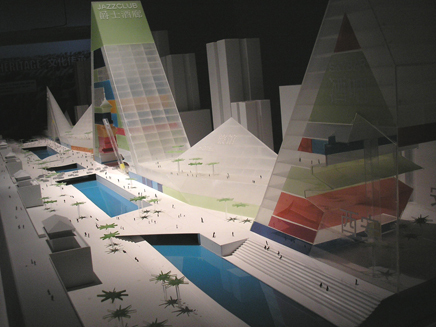 The Biennale grounds are divided into the Giardini , sprinkled with some 40 national pavilions, and the Corderie dell'Arsenale , a series of converted naval warehouses, with Burdett's "Cities: Architecture and Society" theme intended to operate pervasively. However, very few participating countries in the Giardini demonstrate that they are up to the challenge to quantify and qualify the city and society within their borders, instead preferring tongue-in-cheek installations, stage set interiors, or unfocused curation. 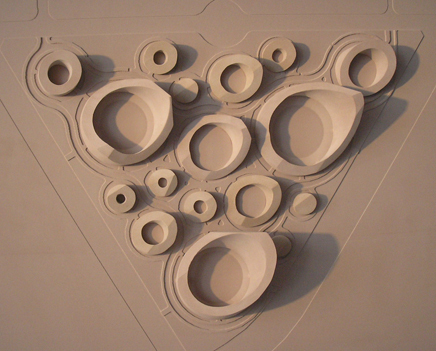 But herein lay Burdett's own challenge, the Venice Biennale has always tended toward themes of architectural styles and trends over the social or the contextual. 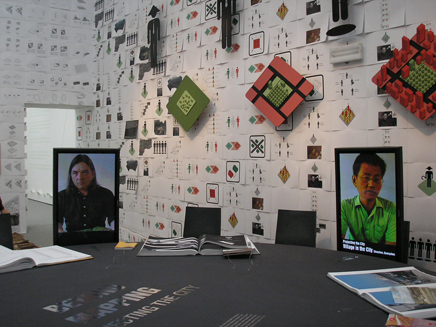 Past themes suggest the subtext of the biennale as a visionary event, able to forecast the winds of trend in architecture, such as "Next" in 2002 or "Sensing the Future" in 1996. This year, thankfully, has no such stylistic ambitions. In addition, what is significant about Burdett's theme is its scale, the scale of a city or a region instead of the scale of a building. And with astounding growth and rapid development worldwide in urban areas, the subject is both timely and, not surprisingly, complex. 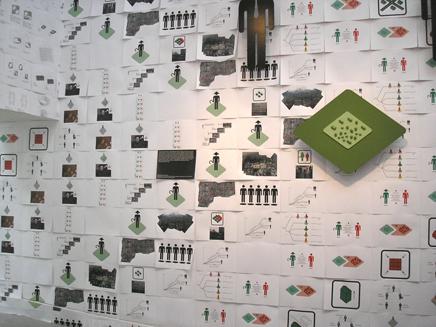 The Danish exhibit is one of the most successful as it combined statistical information as well as specific design proposals that directly addresses the observed data. 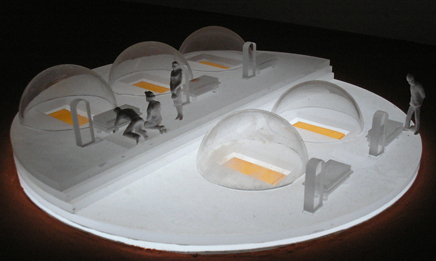 It is a collaboration between young design firms in Denmark and students in Chinese Universities. 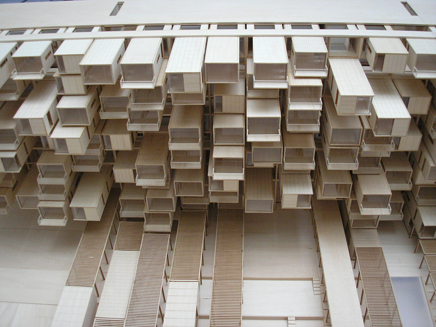 projects above by: Transform with Xi'an University of Architecture & Technology, and COBE with Chongqing University. 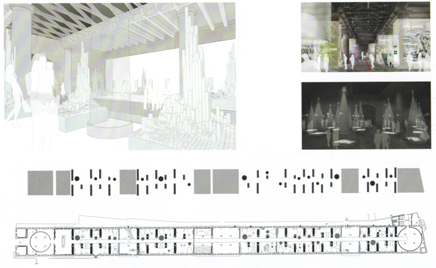 Probably coming closest to the potential thematic overlap of cities, architecture, and society, the American pavilion centers on the architectural energy generated in search of post-Katrina housing for New Orleans. Projects above by: Anderson Anderson Architecture; Eight Inc. 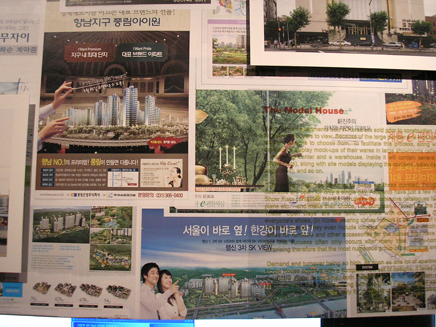 The Korean pavilion highlights the marketing trickery of developers in an exhibit entitled "Catalog City." 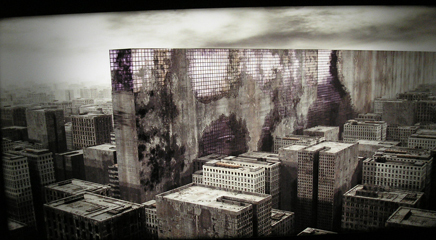 Here the coexistence of advertising and architecture is laid to bare. 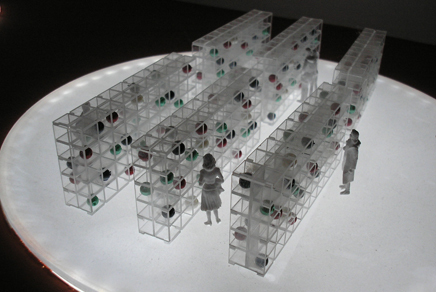 Chanjoong Kim's The Last House in the Korean pavilion addresses the future need in Seoul for a vertical super-columbarium. The Berlage hones in on the means by which the city is designed - mapping, politics, and captalism. This serves both as a critique of a design work that ends after the map and as a way to question what knowledge is used as pre-design criteria for urban design. In support of this new dialogue, a conference table of flatscreens broadcasts a debate between (previously taped) critics. 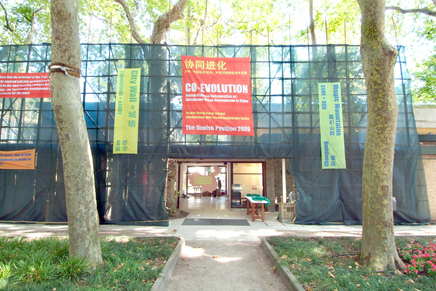 The French pavilion is domesticated into a kind of hostel for designers and architects. Not sure what this on was saying. In fact the most interesting things to watch were the kitchen with two maestro chefs at work and the toilet on the roof (Seinfeld episode?) with a stunning view of the Giardini . 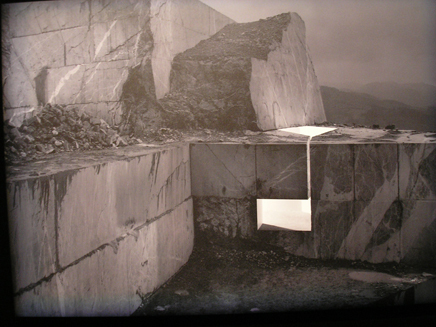 The Arsenale contains the primary exhibit, and most accurately represents Burdett's vision for the Biennale. Here, sixteen cities are selected for statistical scrutiny. 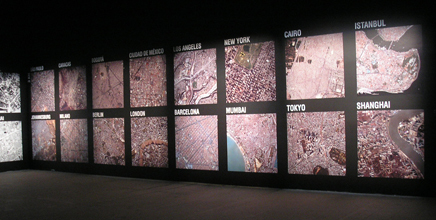 While some of these selections illuminate unique and emerging complex urban DNA - such as Shanghai, Mumbai, BogotÃ¡, Caracas, and Cairo - others seem to default toward more traditional notions of the city - such as New York, London, Barcelona, and Berlin. Although one could argue that these are here as measuring sticks against the new urbanizing territories, more representation of how these cities operate as organisms might have substantiated that comparison. Of course London and Barcelona are essential benchmarks in city development, socially and formally, but the selections miss an opportunity to further emphasize the diversity of city form. What about the politicized city (Jerusalem), the bombed city (Iraq), the dispersed city (Atlanta), the vacant city (Detroit), or the cold city (Moscow)? 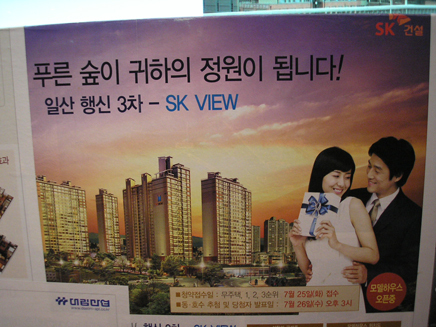 What about Seoul? What about Singapore? 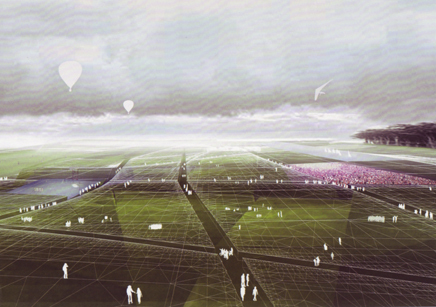 Or what about modes of the city, such as the wireless city or the airport city? 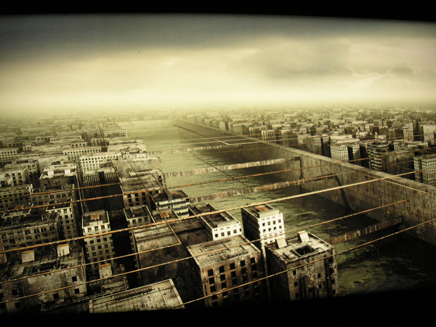 Burdett's selections seem to suggest only two types of cities: the grid city driven by the automobile or the haphazard city driven by economic disparity. 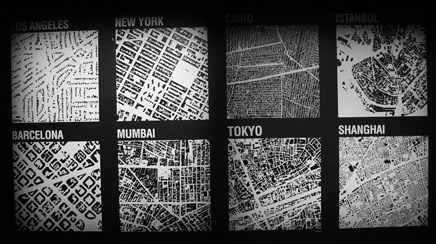 In either case, the exhibit remains focused more on the morphology and snapshot statistics of the city instead of the forces that have shaped them - the architecture of city. In many cases the preference for statistics obscures other aspects - such as war, weather, or tourism - that may have made one city grow in a certain way versus another. 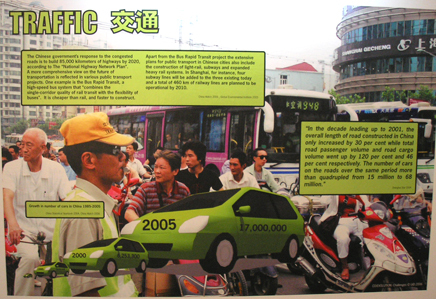 Part of this is because of the overwhelming desire to equalize the information across the various cities. This means that some cities are analyzed on terms that may be less relevant to their makeup than others. 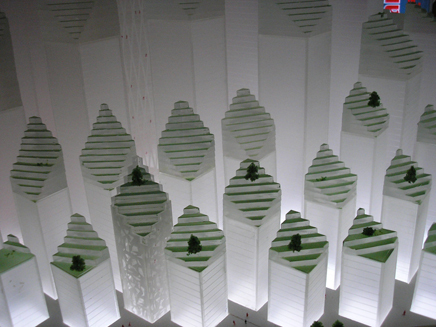 CIBIC's installation design led to the construction of a Whiteread-esque density model for each city as a way of visualzing population relative to geography. People as bar charts doesnt seem to suit the Society and Architecture subtitle. 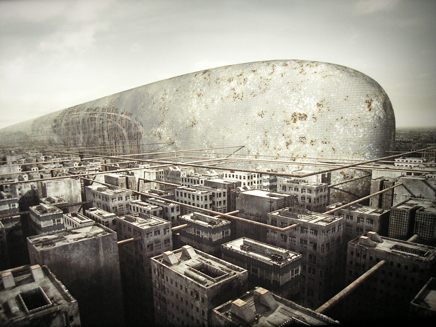 Giacomo Costa's stunning dystopian traventine monoliths invade exostructural cities. 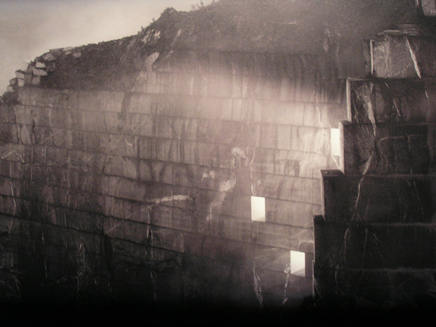 Aitor Ortiz' illuminated quarries / excavations. 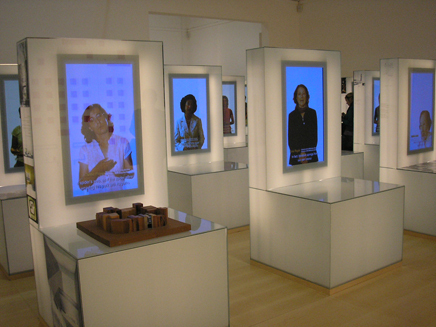 Spain's pavilion hosted a digital army of women designers and clients. 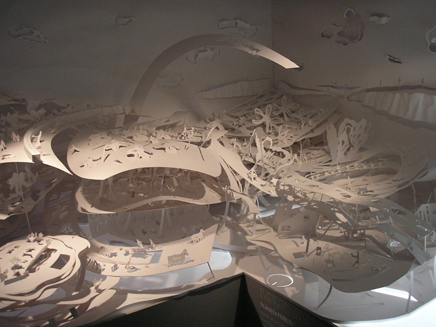 The Royal College of Art's Babylon:don had some exciting models investigating living in London. Though some looked like they didnt quite survive the ride down. 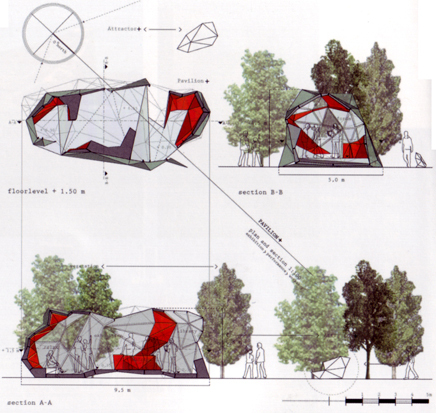 Open Building Research's 2026.09.06 18.00.00 Park of the Sport is a proposal for the Italian pavilion on a utopian city in a cleared landscape. 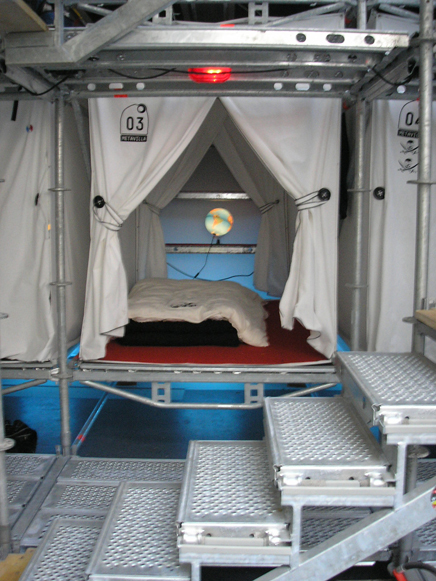 Nordic Research Application (NoRA) is about "sensual inputs" and movement designed by students at Aalborg University in Denmark. 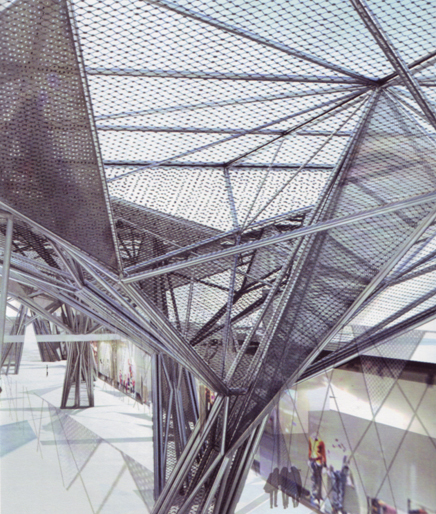 Dominique Perrault's Garabaldi Station stands out in the exhibition on transport and transit called Metro-Polis . Cities. 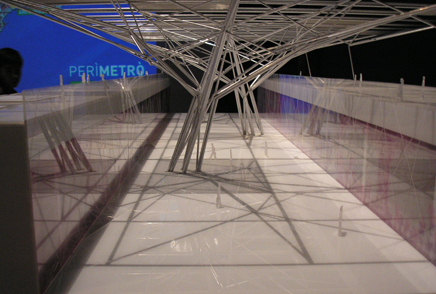 Architecture and Society runs from September 10 until November 19 2006 in Venice, Italy. 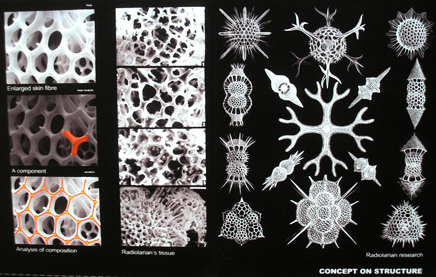 how did you find the biennale in so far as questioning or answering the main topic " cities: architecture and society", apart from its ludical-visual side? dishevelled heaps are rarely this incisve. thanks for your perspective. I particularly appreciated the poignant "Nice Try" entry.